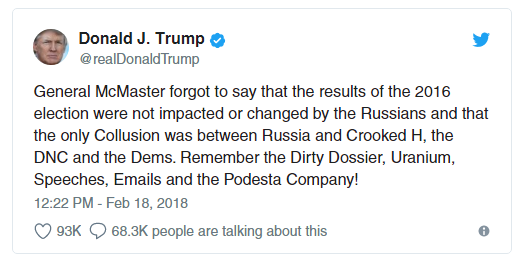 On February 18, 2018, the President of the United States of America publicly accused Hillary Clinton of colluding with Russia to change the results of the 2016 election. This article calls that claim "bonkers". Browse other questions tagged united-states russia hillary-clinton . Did Hillary Clinton give Russia 20% of the United States' uranium?